Expect 2019 to be a big year for Apple’s iPad tablets. And for professional-grade Macs, too. The next 12 months won’t be as significant for the iPhone and Apple Watch lines, though there will certainly be some improvements. Services and software are as important to Apple as hardware, so expect the long-awaited video service to arrive, and we predict a resurgence in augmented reality games too. Most of these are based on information that already leaked out. In these cases, we’ll link to articles on the topic. Others are pure speculation, with some wishful thinking mixed in. Way back in 2017, iOS 11 brought important improvements to iPad. Last year’s iOS 12 focused on the iPhone, so we think 2019’s version will concentrate on tablets again. iOS 13 will supposedly bring the ability to work with multiple windows from the same application side-by-side. This is already possible with Safari, but all software may get this feature. 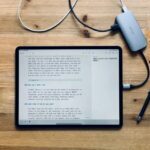 A change we’re hoping for will be additional benefits from the USB-C port in the 2018 iPad Pro. Possible improvements include the ability to copy all types of files to and from external drives, greater support for external displays, and mouse/trackpad support. An iPad with a trackpad might stop being just a dream this year. These changes will benefit everyone who’s already purchased the current tablet, and set off a surge of sales. But don’t anticipate a replacement in 2019, as Apple has a pattern of releasing new iPad Pro models every 18. months. But the long-awaited iPad mini 5 could launch this year, alongside a larger budget iPad. Apple is going to skip the two biggest trends for smartphones in 2019. But we’re still expecting some improvments, of course. Android-based 5G phones will be common by the end of the year, but Apple can’t get a 5G iPhone out before 2020 because it’s depending on Intel for the necessary modem. Making its own won’t speed things up either. That’s not necessarily a disaster. Carriers will still be building out their 5G networks for years, and so the users of the early Android models won’t get much benefit from them for quite some time. Also making headlines in 2019 will be a handful of models with folding displays. Investigation into a folding iPhone started in at least 2016, but the company isn’t likely to have anything before 2020. If then. It’s not clear yet whether there’s a market for foldable phones. Apple is apparently going to wait and see what happens with the Android offerings. So we shouldn’t expect big hardware changes at all, as Apple is reportedly going to stick with the same iPhone screen sizes this year: 6.5, 6.1, and 5.9 inches. Which isn’t to say there won’t be some enhancements. We’ve already heard about faster Face ID, and the addition of a third camera lens could bring better pictures. All of the 2019 models might have OLED displays, one with an integrated touchscreen. There’s been speculation that the 2019 iPhone will have a USB-C port, rather than a Lightning connector. If so, then these handsets will also benefit from the aforementioned improvements coming in iOS 13 for the iPad Pro. Apple flat-out promised that it’s going to introduce an updated Mac Pro in 2019. The wait has been very long, as it’ll replace a model introduced in 2013. So far, Apple hasn’t said much specific about this desktop, other than it’s going to be modular and upgradeable. The goal is to make a computer for “visual effects and video editing and 3D animation and music production,” according to John Ternus, Apple VP of Hardware Engineering. The processor, RAM, and storage options will surely surpass 2017’s iMac Pro. Other changes will be simple updates for 2019. The current Mac Pro model doesn’t even have USB-C, for example. The next Mac Pro is being “completely rethought” so it probably won’t look anything like this. Apple also intends to release a new new high-end pro display this year. Apple Watch, AirPods and AirPower, oh my! 2018 was a big year for Apple’s wearable, with screen sizes increasing and the addition of ECG. That suggests this year’s model isn’t going to bring dramatic hardware changes, as Apple typically rests on its laurels the year after a redesign. So far, there have been no rumors of significant improvements coming down the pike, either. Numerous unconfirmed reports point to updated AirPods coming soon. These are expected to offer noise cancellation and water resistance. Adding “Hey Siri” support is also possible. Expect AirPods 2 to cost more than the originals, though. A complete redesign is expected in 2020. Apple couldn’t meet its promise to have the AirPower wireless charger out by the end of December, just as it couldn’t get this multi-device charging mat on store shelves in 2017. Third year’s the charm? Expect 2019 to be a watershed year for Apple TV. Not so much for the hardware, but for Apple’s streaming video service, which will reportedly launch in the first half of the year. The company created dozens of television programs at the cost of over a $1 billion, and will reportedly make these free to customers who already own an iPhone, iPad, or Apple TV. Expect this to spur sales of the Apple TV device. Whether there will be new models to go along with the service is not yet known. The biggest change in last year’s ARKit 2.0 update is shared experiences, a fancy way of saying that two people playing the same augmented reality game can look at the same virtual objects simultaneously. This is going to make AR games far more interesting in 2019. Lego already introduced an app that embraces this technology, and the next version of Pokémon Go apparently uses it as well. These could be joined by a wave of AR games in 2019. Whether the preferred platform for AR will be the iPhone or iPad is still up in the air. Phones are lighter but tablets have far larger displays. The next generation iPad could get a new type of scanner that will gave it better AR performance than iPhones. That said, it’s not clear if the first iPad with a Time of Flight (ToF) scanner will be out this year or 2020. Cook also indicated that these aren’t going to be just more of the same. Apple is branching out. And he’s feeling very positive about the fruit these will eventually bear. Cook said he’d “never been more optimistic” about Apple’s future. Cook was a little more open about what to expect in the near future. In talking about the Apple Watch, Cook said they’re “pulling the string between wellness and health.” He mentioned the ECG in the latest version, but also the exercise tools built into this wearable. More health-related features are likely going forward. He said there’s a “long, great roadmap of fantastic” products in its category that includes both Apple Watch and AirPods. An improved version of this company’s wireless earbuds are expected very soon. In a bit of good news for laptop fans, Apple’s CEO says they’ve made lowering the cost of the latest MacBook Air a goal. It currently starts at $1,199, after replacing an earlier model that started at $999. After one investor complained that he couldn’t transfer a movies off his iPad Pro via the USB-C port, Apple’s SVP of Software Engineering Craig Federighi stepped in to say that new functionality is coming, but he wouldn’t get any more specific. This could be a hint that this fall’s iOS 13 will include more robust file management capabilities. something users have been asking for. 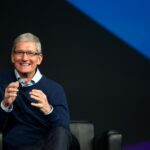 Apple’s executive team is hardly going to use a public shareholders meeting to discuss the unannounced products that Tim Cook was obliquely referring to. Still, there have been enough leaks that we already know what they’ll be, at least in broad terms. One of Tim Cook’s “seeds” being germinated is a video-streaming service to compete with Netflix and Hulu. Apple has been paying to have TV shows and movies produced for months, but has so far kept quiet about its plans. That could change later this month. A long-term project is a self-driving car. Development of this hit a speed bump recently, but the company still has thousands of people working on it. A shipping product is likely still years away, though. Apple allegedly has a secret team developing a set of augmented reality (AR) glasses. These would take advantage of the ARKit development tools that have been part of the recent iOS versions. When this seed will burst into flower is unknown. Despite the clean lines and sleek exteriors of our Macs, the insides often look like a real mess. Cluttered photo libraries; old web caches; broken extensions; unused configuration files — the list of data that can gum up our Macs is long. That makes staying on top of it all nearly impossible, unless you’ve got time and energy to spare. MacFly Pro (not to be confused with that guy from Back to the Future) aims to simplify this process. Many Mac users receive a dreaded “Startup Disk almost Full” message before they ever think about Mac cleaning software, but MacFly Pro made a suite of Mac applications that can prevent that message from ever showing up again. It can take many separate tasks, not to mention a long attention span, to keep a Mac tidy. The MacFly Pro suite also includes an adaptive Smart Assistant that automates most of those steps. It’s at the core of MacFly Pro, watching your system and notifying you of new opportunities to clean your Mac and maximize performance. Automatically and continuously assessing the data stored on your Mac, when it sees a way to reclaim space or improve Mac performance, it notifies you. MacFly Pro does its work based on background scans that the Smart Assistant conducts. You’ll see a general breakdown of what the software found — system files, duplicates, etc. — along with the option to view the files in detail. Then, you can clear them out with just a click. MacFly Pro never deletes or alters anything without permission. MacFly Pro also serves as a sentry for resources being consumed in ways you might not think to check. It targets rarely used applications and configuration files, serving up a report on how much space they’re taking up. That means opportunities for clearing out space you probably wouldn’t spot. Additionally, the Smart Assistant offers an assessment of the overall condition of your Mac, monitoring the system state. With MacFly Pro, you also get a powerful Cleaner module that removes system junk and file waste that it collects on your hard drive. Temporary files and other common data can sneakily gum up the works of any Mac. Cleaner will check your operating system and send notifications offering a one-click cleanup. This offers a way to stay on top of Mac file accumulation without having to put in much effort at all. Cache and log files, broken login items and preferences, application data and localization files are just some of the esoteric file types you probably wouldn’t even know to look for. But Cleanup keeps an eye on these and a bunch of other file types, so you can focus on things like, you know, typing. MacFly Pro’s Tools module deals with big files on your Mac. It manages and can remove application files and documents, music, photos or archives. Just as with the other MacFly Pro modules, you can clean all of it out with several clicks. The Tools feature also presents an estimated time frame for every task. It marks files that are most likely to hog disk space. That helps you quickly sort out junk data from the stuff you want to keep. That makes it easy to plan around big cleaning jobs. MacFly Pro’s range of tools prove useful when you need them, and stay out of your way the rest of the time. You could buy the app for a month to see if you like what it does, then spring for the full year if you do. There is also the download page where you can get a free trial without entering any credit card info. Either way, keeping a clean Mac shouldn’t be taking up your free time. MacFly Pro will save you both space and time. In a brief interview with Japanese design magazine Casa Brutus, Apple’s Chief Design Officer Jony Ive dropped a few interesting tidbits about the development, future technological implications and public reception of iPhone X. According to Ive, who was interviewed by Casa Brutus in Cupertino, Calif., after last month’s iPhone event, iPhone X represents one of the most difficult projects Apple has undertaken, with an incubation period of more than two years. That the product was ready in time for iPhone’s 10th anniversary in 2017 was a “wonderful coincidence,” Ive said. Discussing the inner workings of iPhone X, Ive said the inclusion of Face ID is the culmination of years of work toward a non-contact user interface. From a user’s perspective, features that do not require physical interaction make a device feel simpler, yet at the same time more robust. Ive goes on to say the replacement of Touch ID, a capacitive fingerprint reading solution included in all iPhone models since iPhone 5s, equates to a heightened user experience. On the handset’s design, Ive said previous models felt like a combination of many different parts, the most obvious being the chassis and display. With iPhone X, the design feels contiguous and integrated. It took may years to achieve that level of fit and finish, Ive said, adding that Apple is already working on next-generation designs. Looking back to the first iPhone, Ive said multitouch, a feature smartphone users now take for granted, was both its most important feature and the biggest design challenge. Building a new hardware platform meant miniaturizing and incorporating cutting edge components, but also required a rethinking of human interface guidelines. Over the past ten years iPhone has transformed from a simple telephone/internet/music device to become something much more integral to daily life. That transition continues today, as Ive remembers first using iPhone for phone calls, then video calls with FaceTime and later emoji in iMessage. With iPhone X and the depth-sensing TrueDepth camera system, owners can communicate with Animoji, Apple’s marketing term for emoji characters that animate based on a user’s facial expressions. Instead of thinking of iPhone X as the ultimate expression of “iPhone,” Ive said the device represents a new chapter in the platform’s history. Japanese blog Mac Otakara reported on the Casa Brutus interview earlier today. We are sure a lot of people are aware of this feature, but at the same time, there are plenty of people who are not, which is why we decided to include this on the list. You can do this by opening up the iPhone control center, and then tapping the button on the bottom left side of your screen to turn the camera flash on. You can now use it as a flashlight and change back to the default settings when you are done. There have been some complaints about the TouchID on the phone not responding fast enough, and we have a solution to the problem. The best way to speed up TouchID on your iPhone is by saving the print of the finger that you use the most to access the phone multiple times. By saving it as a different print, you reduce the time it takes TouchID to process your fingerprint when you want to access your phone. This feature works better when you can see what you are doing, which means that you will have a tough time if you try to do it with an iPhone that has a cracked screen. This is a pretty neat feature because it allows you to take pictures by simply using the volume buttons on your headset when you are in camera mode. This is a very useful feature which allows your phone to notify you of a message with the blink of your camera flashlight. You can turn this feature on by going to your general settings, going to accessibility, and then scrolling down to LED Flash for Alerts, and turning it on. Just make sure you turn it back off when you’re in a movie theater or trying to sleep. When you try to access the top of the screen on your iPhone, you usually need one hand to hold the phone, and another to scroll down on the screen. There is an easier way to do that, all you have to do is double touch the home button twice, and the screen will briefly shift downward, allowing you to access the top of the screen pretty easily. Okay, this is technically not a feature, but it is still very useful information. It is no secret that the battery life of the iPhone isn’t very long, and using the charger that comes with the phone takes some time. Instead of using the adapter, switch to an iPad charger, because they charge the iPhone faster, so you don’t have to wait too long before it’s fully charged. Apple developed Force Touch as a way to sense the difference between a tap and a harder press on the phone. Force Touch can then relay that information to the phone and correspond specific actions to the type of force you put on the phone. You can see Force Touch in action right now on three different devices: the Apple Watch, the 2015 MacBook and the 2015 MacBook Pro. Force Touch on the Apple Watch allows the user to press down on the screen to change the watch face, or press a little harder to bring up a secondary menu. It’s necessary for this small smart device since there is very little screen space, but it seems as though Apple has realized the potential for including this technology in all of its devices. WHAT WILL FORCE TOUCH BRING TO THE IPHONE 6S? There are a few ways we envision Force Touch being a super useful addition to the iPhone 6s. The first being navigation — by allowing a second dimension to the way users can touch and interact with the phone, the developers can build in so many extra navigational options and menus. Maybe a light touch will pause a video, while a heavier touch will rewind or fast-forward it. Perhaps a light touch will open a basic menu, while a heavier touch will open a detailed menu. The opportunities are endless! Another interesting application for Force Touch is gaming. By adding this additional haptic element, game and app developers can build in so many more functionalities within their apps. While there are no real reports of developers planning ahead for this feature, we have a feeling that it will be a huge change for the app and game developers out there. The much-anticipated Apple Music has finally been unveiled! Users concerned with pricing don’t have to worry as it offers a free three-month trial period, so you can decide whether it’s the right streaming music service for you. The service is available for iPads/iPhones running on the latest version of iOS and Macs/PCs that have the most recent version of iTunes. Here are some great features of Apple music you ought to try out. 1. CHOOSE YOUR FAVORITE GENRES AND ARTISTS. Head over to the accounts section and choose ‘Artists for you’ in the top left corner. You will be greeted with bubbles with the names of the different artists. To choose your artist, tap on the bubble or double-tap your favorite artists. For genres that you don’t like, press and hold to get rid of them. 2. CHECK OUT APPLE MUSIC’S RECOMMENDATIONS. This feature is listed under ‘For you’ and is based on your selected genre and artists. Apple Music understands that you may not always remember all your favorite songs, and this list is a good way to keep your playlist fresh. You may find a few forgotten treasures in here. 3. CONNECT WITH YOUR FAVORITE ARTISTS. Get to know what your favorite artists are up to by following them. You automatically follow the artists that you selected before but Apple Music gives you the chance to connect with more. This will give you an updated view of the artist’s feeds, videos and photos. 4. LISTEN TO THE SONGS IN YOUR LIBRARY. It’s not all about streaming with Apple Music; the service also lets you access songs in your library by tapping on the ‘My music’ icon. Here, you can access all the songs you have in your playlists and any new song that you may have downloaded. 5. SAVE SOME TRACKS FOR LATER. This is one feature you will appreciate when you cannot access internet and stream. Save your favorite songs for later by choosing to make them available offline. 6. CREATE A RADIO STATION. Proving just how cool Apple Music is, it lets you create your very own radio station. If you are listening to a track and you want something similar, just click on the ellipses in the bottom right corner and choose ‘Start Radio’. Apple music will queue up similar songs that you may like. This is a great way to explore more music and find new favorites. Apple Music ensures its users are always taken care of by providing a wide variety of playlists. Click on the ‘plus’ icon to add the playlist to your music library. Snapchat is one of the most popular apps on the market today. There’s something so magical about sending your friends and family pictures that only exist for up to 10 seconds at a time. As the app has evolved, there is a fun social component to the app in the form of Stories, so you can now follow all of your friends and favorite celebrities as they upload snippets of their day straight to Snapchat. If you use Snapchat often, you may have noticed that it’s started draining your data pretty badly. Have no fear, though, because the Snapchat developers heard our cries and released an update that helps solve this data issue. Earlier this month, Snapchat updated the app and added new features. One of the best new features is something called Travel Mode. When you enable Travel Mode on the app, it will prevent the app from automatically loading things like the popular Stories when you are using a cellular connection instead of WiFi. You can still view your Stories while using your data, but the app won’t just automatically load them in the background. The only problem with this upgrade is that the setting is kind of hidden in the settings screen of the app. To find it, click the settings wheel at the top of your Snapchat screen. Then click on ‘Manage’ under ‘Additional Services’. On this page you will find ‘Travel Mode; and you can activate it by clicking the box next to it. You know it is activated when the box is filled in and has a small check mark in it. This allows you to be more conservative when you are using the app while not connected to WiFi. This will also help with battery conservation because if you use the app a lot, you will notice that it can quickly eat up your battery. This is the safer way to use the app while traveling, the reason why the developers have called it Travel Mode. When typing on your iPad — There’s no reason to use a traditional keyboard when you are typing on your iPad. You can easily change your keyboard to one where you can type using just your thumbs like on your iPhone. Just swipe your fingers across the keyboard in opposite directions, and the new keyboard will pop up. Charge faster — If you need to juice up your battery in a hurry, put your phone or iPad in airplane mode and the battery will charge faster. Use child safety controls — Have you tried letting your kid use the iPad, only to continually have to navigate them back to the app they were using? When you turn on the Guided Access feature in the general accessibility settings, the iPad will stay in the app being used so you don’t have to worry about them accessing apps or making unauthorized purchases. Calculator hacks — If you are using the calculator and you add too many zeros, a swipe of the finger from left to right will remove one of the zeros. Selfies without a selfie stick — You can take selfies on your iPhone by using your earbuds. All you have to do is put your iPhone on camera mode and hit the volume + button on your earbuds. An instant selfie without having to have that weird, outstretched arm look. Turn your iPad or iPhone into a computer — All blue tooth keyboards will work with your iPhone or iPad, turning both into a computer on the go. Use the compass app to hang pictures — When you have trouble making sure something is level, open up the compass app on your iPhone or iPad. The app comes with an automatic leveler that can be used as a level in a pinch. Navigate your app quickly — It’s possible to return to the top of any app that you are using, simply by tapping the top bar. No more scrolling through with your thumb. Forget the period — When you are typing on the iPad or iPhone, you can skip typing a period and then the space bar after every sentence. Instead, simply hit the space bar twice and the period will be added in automatically. Get rid of banner notifications — To get rid of banner notifications, simply swipe right to left on your keyboard and it will disappear. Siri can be your best friend — Instead of setting an alarm manually, simply press down on the home button to access Siri and say, “Wake me up in two hours”. An alarm will automatically be set to go off after the two hours is up. Get your contractions right — When autocorrect is driving you crazy while trying to write a contraction, just add an extra letter to the end of the word and your contraction will come out perfectly. Skip songs with your earbuds — When playing music, press the play button twice to go to the next song.